ChangePace consultants are seasoned and deeply experienced in building capability and ways of working for successful transformation – ways of working that help an organisation align its strategies, deliver its goals and improve performance. The ChangePace Consulting model is to work in collaboration with our clients as we navigate strategic initiative delivery together. Our work is based on the belief that it is better to ‘teach our clients to fish’ rather than ‘to fish for them’, passing on our skills and capabilities in our projects rather than creating dependency. We believe in building internal transformation programmes that do the same. In our experience this is one of the most successful strategies for long term scalability and sustainability of any change in organisations. develops new capability that is scalable and sustainable. We enable our clients to own and drive their change at the right pace. is underpinned by a strong track record. What we do is not an experiment and we deliver capabilities that have been proven to work. is delivered by deeply experienced transformation consultants. We know the terrain and the challenges of organisational change. is tailored to address the bespoke needs of what will help our clients, rather than imposing a rigid, ‘off the shelf’ one size fits all approach. Jacqui is an award-winning expert in business transformation with a proven track record of delivering improved business results. 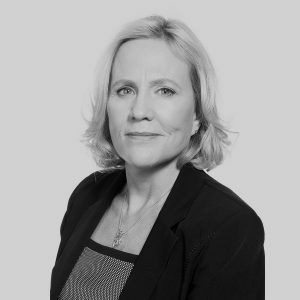 She has over 25 years of experience; the first half working as a management consultant and the second half working as an internal business transformation leader. She has experience across multiple sectors including pharmaceuticals, energy, management consulting and information services. From 2009-16 Jacqui served as Vice President of Change and Accelerated Delivery & Performance at GlaxoSmithKline. She led the global programme to drive sustainable performance improvement through applying a unique blend of change management, continuous improvement and project management. In 2012, the programme delivered financial improvements in excess of £300m and has since developed over 2,000 internal expert practitioners with approximately 30,000 people applying the new improved way of working. 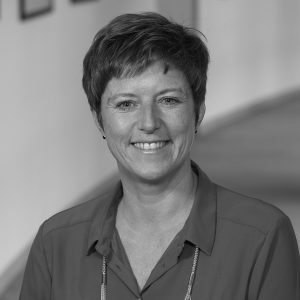 During 2016, Jacqui worked in the GSK-Save the Children Partnership to enable their global strategy of becoming a high performing organisation. Jacqui’s key talent is the ability to touch, move and inspire others to act. Trained as a professional coach & change expert, she brings rigour and discipline to enhance organisation and team capability to deliver change at pace. She is comfortable working at all levels of an organization from the board to the ‘shop floor’, and in designing engaging large group interventions (for 150 or more), team workshops to one-to-one coaching. Her approach is particularly impactful when shifts in mindset, culture or ways of working are imperative for business success. Put simply, Jacqui has the ability to influence a business system and its people to deliver sustainable change and continuous improvement over time. Jacqui is lead of the consulting team of Changepace Consulting Ltd Consulting Ltd, developing and shaping client programmes for maximum business impact and success. WINNER: Jacqui Alexander for GlaxoSmithKline: The GlaxoSmithKline ‘Accelerating Delivery and Performance’ initiative: the application of a synthesis of the best of multiple frameworks and models in use in OD, Lean Six Sigma and Project Management, underpinned by the GSK Change Framework. Distinguishing quality: A masterful, creative and practical synthesis of current methodologies with a proven success record across the globe. The judges particularly liked the ‘Forum, Fieldwork, Feedback’ teaching and coaching approach used to implement the initiative. Jacqui Alexander and the GSK Accelerated Delivery & Performance (ADP) team came runner up in the ‘Excellence in Performance Improvement’ at the 2015 Association of Business Psychology Awards. The Association of Business Psychology seeks to champion and progress the field of business psychology within organisations through sharing of learning, highlighting best practice (showcasing excellence via their annual awards) and building capability. Rachel is a professionally certified coach (International Coach Federation – PCC level) with NLP and MBTi qualifications and author. In a career spanning over 25 years, Rachel has held senior positions at Departmental Head, Director and Board Trustee levels. As a leader she focused on developing high performing teams and individuals. Rachel is a preferred coach at several FTSE 500 companies from a variety of different sectors including pharmaceuticals, international banking, insurance and management consultancies. Rachel has a passion for people and how they operate; what helps make them who they are and how they can achieve their goals. She is highly motivated and energised by the coaching process and by the results people achieve. In addition to managing coaching services to clients, Rachel also runs the day to day operations and Associate team of ChangePace Consulting Ltd. The ChangePace Consulting associates are currently based in the UK; all with extensive experience in helping complex global organisations drive change at pace at individual, team and organisation levels. Our associates have experience of living and working in Europe, North America and the Far East. I have been fortunate to have had the opportunity to be coached and mentored by Jacqui. She is an inspirational coach who has a unique ability to visualise and to unlock the talent in both individuals and organisations alike. Jacqui has mastered the art of helping organisations undertake and embed large scale transformative change. She manages to differentiate herself from others in this space by focussing on people and acknowledging that building inspiring, genuine trusted relationships is the key to achieving sustained organisational change. Rachel is fantastic to work with. She brings perspective, energy and suggestions that lead to quick and sustained changes. What’s incredible is how natural and seamless it is working with Rachel and what’s valuable is her focus on the agreed goals which you can be confident WILL be achieved. Rachel is an excellent coach. During the time I worked with her, she consistently received very positive feedback from clients who were able to get real change and enhanced performance as a result of her coaching. Rachel was one of a group of coaches I hired to provide performance coaching in a development program. Rachel contributed creative and expert input to help improve and shape the coaching model for this program, so that it was of the highest standard. I highly recommend her.